It was years ago that Richard Taittinger, now 34 years old, left his family’s Champagne business and headed for a career in the art world. 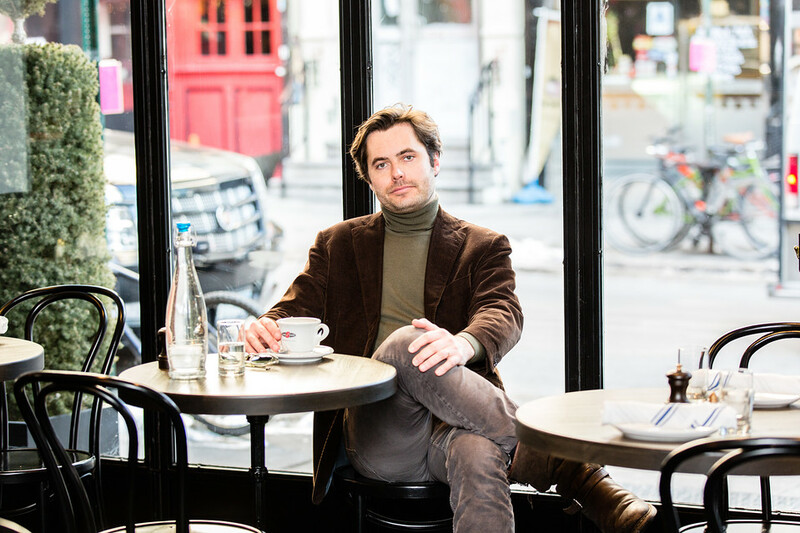 “I asked myself what I wanted to do with my life,” recalled the Paris-bred Mr. Taittinger, the great grandson of Taittinger Champagne house founder Pierre Taittinger, the other day in NewYork. “I’d always had this passion for contemporary art,” he said. “When I was a kid, I used to walk around the auction house Hôtel Drouot, and it was magical. But I started to work in the wine industry. And when I turned 26 or 27, I said, ‘Come on, this is wrong. You have to go find your passion.’ And so I started from scratch.”Mr. Taittinger moved to New York City and began paying his dues at the auction house Phillips de Pury, now known simply as Phillips, before then moving back to Paris to work at the Almine Rech Gallery. He returned to the States and, in 2010, set up his own art advisory company. “I understood you have to respect the steps,” he said. “I wanted to do things properly.” This week marks the next big step. Coinciding with Armory Arts Week, Monday is the VIP opening of his very own 5,000-square-foot gallery at 154 Ludlow St., in a space formerly the music venue the Living Room. The 20-foot-high ceilings “allow us to present large-scale museum-quality works,” Mr. Taittinger said. The first presentation, a group show titled “Sinthome” based on the theories of Jacques Lacan,will serve as a precursor to the gallery program, which will focus predominantly on midcareer artists. “These artists are already quite recognized outside of New York, but they’re not as recognized as they should be,” he explained. “These are artists I really respect.” Occasionally, he added, “super young artists” tend to break out at auction, “and they just disappear.” Mr. Taittinger had been looking for a gallery space for about two years, he said, including inChelsea and even Hell’s Kitchen. But living between the Lower East Side and nearby SoHo, he saw social life moving back again into the Lower East Side, with the Ludlow Hotel, the NewMuseum (Mr. Taittinger’s favorite), a handful of other heavy-hitting galleries and a rumored newSoho House. He found the empty Living Room location on a long bike ride from Battery Park to Harlem. “Do you think there’s room for new galleries in Chelsea?” he asked. “You have 300 galleries there, maybe more, I don’t know. I love them, don’t get me wrong, but you can’t compete with those guys. I thought, ‘Let’s try something new.’ ” Collectors from uptown, he added, like to come downtown, and Mr. Taittinger said his gallery would be open on Sundays and at night to accommodate a different kind of traffic. “There’s a dynamic here on the Lower East Side,” he said. “It’s like Barcelona. You have more freedom on the Lower East Side to try something new. I’m an entrepreneur and I’m a risk-taker. “We are not sure it’s going to be a success, but we’re going to try everything we can to make it one.” Restaurant hot spots he particularly likes in the area at the moment are Dirty French, HappyEnding and Russ & Daughters even though “you have to queue so long” at the deli. Mr. Taittinger, who has two daughters, 2 and 4 years old, with his wife, a lawyer who specializes in intellectual-property law, explained that there are some parallels between his family’s business and his relatively newfound one. “The way you work with the eyes to approach art is similar to how you approach a great wine with your nose and palate,” he said. “The great wines are made by artists.” He added that both wine and art “are a way to connect with and meet new people.”His family, however, won’t be supplying the gallery regularly with magnums of Champagne, he said. “I have to buy it like everybody else,” Mr. Taittinger said.